Chaletfinder offers a smashing range of chalets in Italy for you to pick from and you know you'll be getting the best prices because we put you in direct contact with the owners of Italian ski chalets. If you're on the lookout for ski chalets in Italy, give Chaletfinder a call today and we will find the perfect solution for your requirements. The Italian slopes really are some of the most underrated out there and you will be blown away by the quality and design of your chosen ski chalet. Italy ski resorts include Val Gardena, Cervinia and Courmayeur and we are pleased to offer Italian ski chalets in all these breathtaking resorts. Cost - As Italy is an up and coming ski destination, the cost of ski chalets in Italy will invariably be a little less expensive than those in the more mainstream skiing resorts. Chalets in Italy are of an exceptionally high quality and you will definitely get great value for money when skiing in Italy. Skill Levels - If you're wanting an Italy ski chalet, you can have the peace of mind that comes from knowing that Italian ski resorts like Cervinia and Val Gardena offer slopes that cater to all calibres of skier. When you find your chalet in Italy, you need to make sure that it has all the amenities that your group requires and here on Chaletfinder, we clearly state all the features that our ski chalets in Italy have. Sights- Many who ski in Italy will combine their stay at chalets in Italy with visits to some of the most popular cities around the leading ski resorts - such as Turin and Rome. There really is an impeccable selection of ski chalets. Italy is fast catching up with its neighbours and it won't be long before it is sitting at the top table with the other leading ski resorts found in France, Switzerland and Austria. 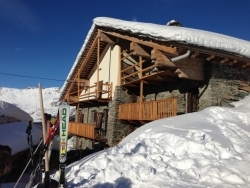 Chaletfinder is one of the leading ski chalet booking agents and we offer a superb collection of chalets in Italy to pick from - call us today on +44 (0) 161 408 0441 or fill in our online enquiry form if you can't find the right Italian ski chalets for you and we will see what we can do to help. 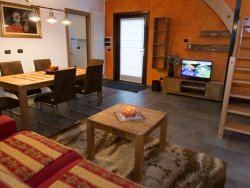 [short_description] => A well located apartment close to town and ski lifts, perfect for a family or group of friends. 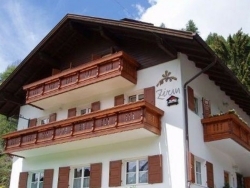 A well located apartment close to town and ski lifts, perfect for a family or group of friends. [short_description] => Popular Four bedroom apartment, decorated in traditional style. It is possible to ski in / out during normal snow conditions. Popular Four bedroom apartment, decorated in traditional style. It is possible to ski in / out during normal snow conditions.